The original name of the smoothie was “Pineapple Chai Green Smoothie” but I changed it since I don’t have any Vega ONE Chai flavor (where can I buy this??) I must’ve been tired when reading this recipe because somehow I missed the banana. So when I added 1/2 a banana after not really liking the taste I thought it was something extra. Now I know I should’ve added more. 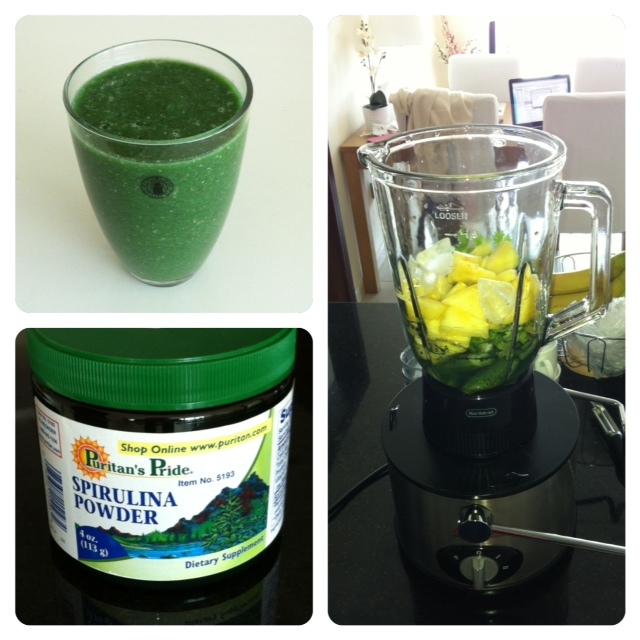 Also I added spirulina which maybe wasn’t necessary considering the amount of greens I already had in the blender… So the result wasn’t the best. Oh well, next time I’ll get it right. sodium. Use it for dips and guacamole instead!